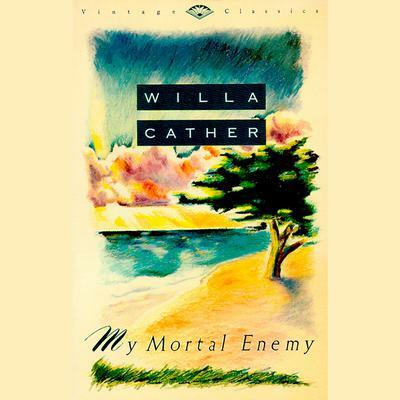 First published in 1926, this book is Willa Cather's sparest and most dramatic novel, a dark and prescient portrait of a marriage that subverts our oldest notions about the nature of domestic happiness. As a young woman, Myra Henshawe gave up a fortune to marry for love--a boldly romantic gesture that became a legend in her family. But this worldly, sarcastic, and perhaps even wicked woman may have been made for something greater than love. In her portrait of Myra and in her exquisitely nuanced depiction of her marriage, Cather shows the evolution of a human spirit as it comes to bridle against the constraints of ordinary happiness and seek an otherwordly fulfillment. My Mortal Enemy is a work whose drama and intensely moral imagination make it unforgettable. First published in 1926, this book is Willa Cather's sparest and most dramatic novel, a dark and prescient portrait of a marriage that subverts our oldest notions about the nature of domestic happiness. As a young woman, Myra Henshawe gave up a fortune to marry for love--a boldly romantic gesture that became a legend in her family. But this worldly, sarcastic, and perhaps even wicked woman may have been made for something greater than love. In her portrait of Myra and in her exquisitely nuanced depiction of her marriage, Cather shows the evolution of a human spirit as it comes to bridle against the constraints of ordinary happiness and seek an otherwordly fulfillment. My Mortal Enemy is a work whose drama and intensely moral imagination make it unforgettable.